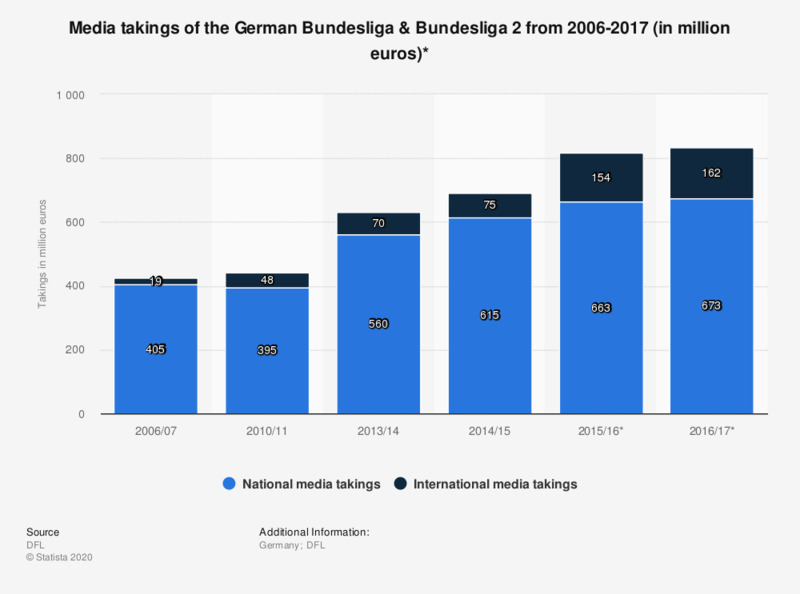 The statistic depicts the national and international media takings of the broadcasted games of German Bundesliga from 2006/07 to 2016/17. In the 2013/14 season, the national media takings reached 560 million euros. The total takings were at 630 million.